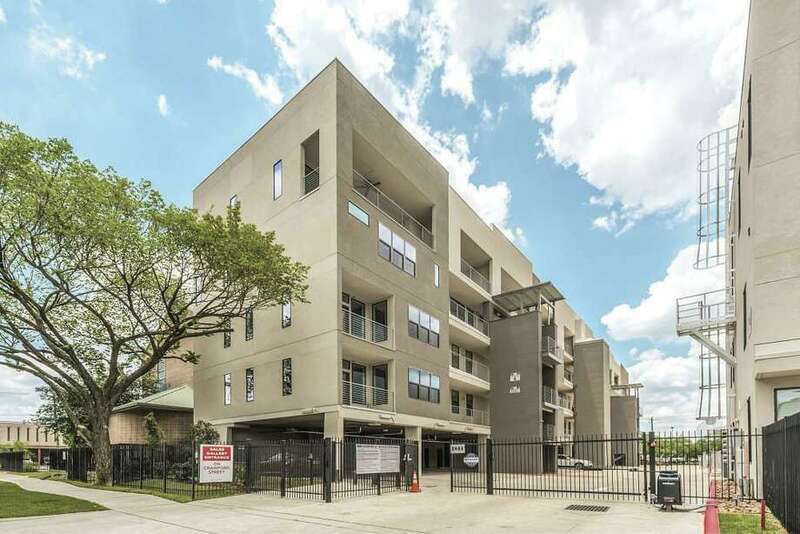 Parc at Midtown is only three blocks from downtown, and is gated with cameras. If residing in Midtown and communing with nature while living in a luxury home is your ideal lifestyle, then the Parc at Midtown could be the place for you. Parc at Midtown, offered by award-winning developer Surge Homes, was created to feel like a neighborhood with peaceful, green space while offering luxury finishes and designs throughout the entire home including the kitchen and bathrooms. Another plus is that it’s pet friendly. Residents can find a 5,000-square-foot park with pathways and benches offering a safe haven for walking and potty breaks. It is also near other walkable parks such as Elizabeth Baldwin Park. Parc at Midtown has a Walkability Score of 87 for its access to a variety of places. Louis Conrad, president of Surge Homes, said this enclave community is only three blocks from downtown and gated with cameras. Residents have their choice of living spaces, he said. “Home buyers have a choice of three-story townhome condo on the park or Crawford Street, or there’s a two-story penthouse with panoramic downtown view,” Conrad said. Parc at Midtown was finalist for the 2017 National Association of Home Builders’ “Best Condominium Community,” according to Conrad. 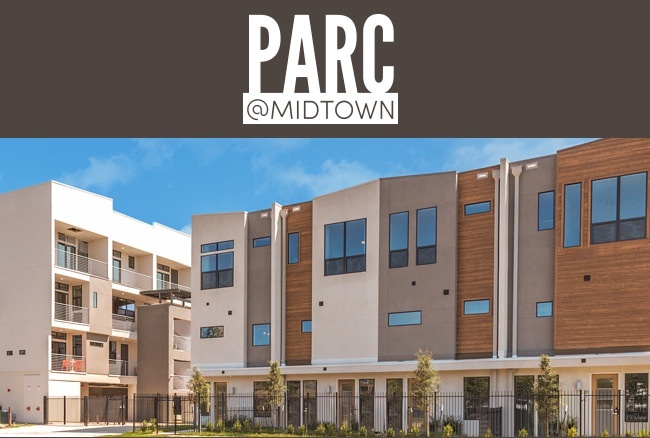 The modern architecture at Parc at Midtown is able to offer several home types including condominiums, one-of-a-kind Sky Townhomes and townhomes. Penthouses provide large terraces and panoramic views of the downtown skyline. Home buyers can choose from eight kitchen and bathroom packages. Interiors are European-inspired with high-end finishes. There is also exclusively imported cabinetry. Residents can find engineered hardwood floors, backsplashes and quartz countertops. Large master en suites can come with either an oversized shower with dual showerheads or a garden tub and shower. Multiple floor plans are available on one or two stories that maximize space for one, two and three bedrooms. The six townhomes, which are park adjacent, have more than 1,500 square feet with three bedrooms, 3½ bathrooms and a two-car garage. There is much that buyers find desirable at Parc at Midtown, Conrad said. “They’re impressed by the accessible prices, modern architecture, the townhomes on a park as well as the penthouse with large terrace and panoramic view. They also like that it’s a gated community with cameras that’s only three blocks from downtown in walkable Midtown,” he said. Most of all, buyers love the location. “Midtown is simply the most sought-after neighborhood for the vast clientele who is looking to live the Inner Loop’s most vibrant, convenient and walkable lifestyle,” said Conrad. For original news article, click here.